It is less than a month to go before Valentine's Day, and it is time to get your inventory ready as early as now. The color red is overrated for this holiday so get out of the bandwagon and choose lovely pastel colors in your display. 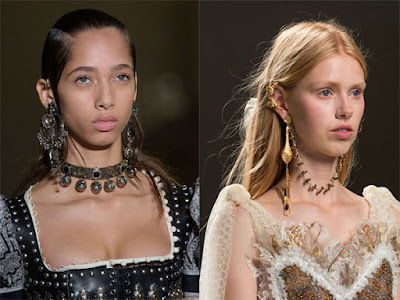 Get those heart jewelry pieces out now and showcase them using modern romantic displays the give off an old world vibe hopeless romantics love. Without further ado, here are our unique Valentine-inspired displays you can get for February. One look at this rose pink jewelry display, and you know the Day of Hearts is near. 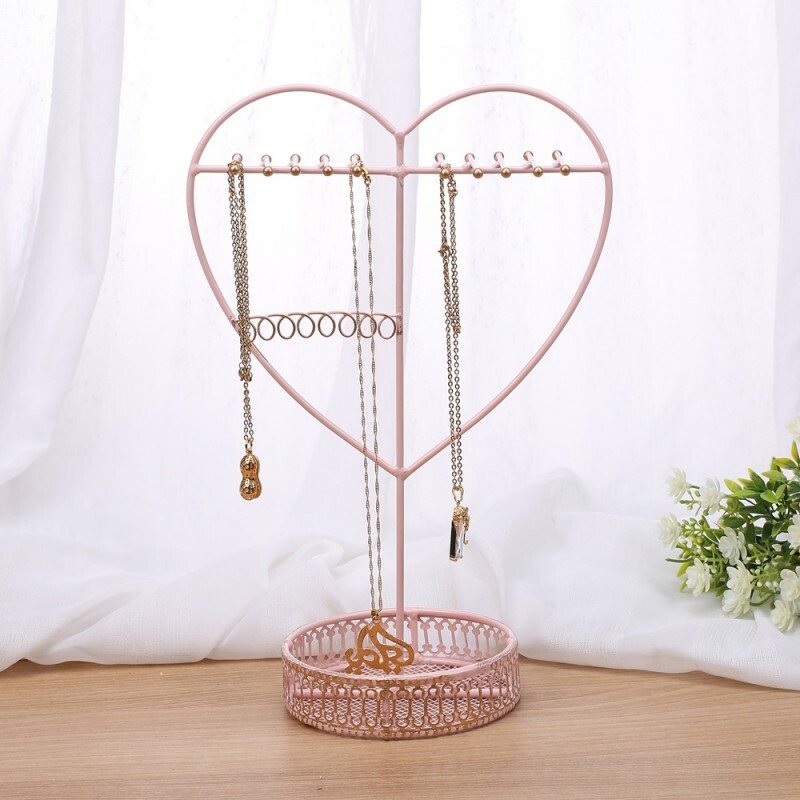 The Metal Heart Shape Jewelry Display Organizer features a large heart that where the holders are attached. It has a base tray for your rings, a bar with 20 hooks for necklaces, and a lower bar with eight holes for the earrings. Its size dimensions are 8 1/4"W x 4 3/4"D x 12 1/2"H. This organizer allows for a clear look of all the pieces, and will prevent the necklaces and other pieces from getting tangled. 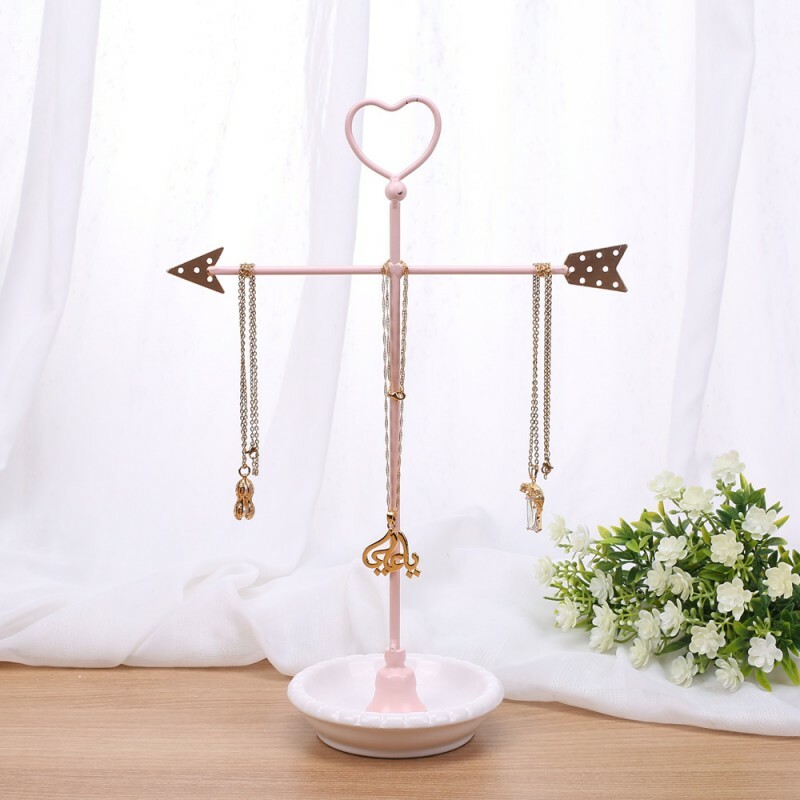 The Metal Arrows Display Organizer is ideal for showcasing necklaces. It has a pastel blue, almost teal color and features arrows with hearts as ends. Gold accents make it look sophisticated and chic. Although made for necklaces, it has a porcelain base tray ideal for rings. The bars have 16 hooks in total, and the arrows have tiny holes that are perfect for hook earrings. Just like the Metal Heart Shape Jewelry Display Organizer, it makes necklaces tangle-free. This jewelry tree’s size dimensions are 8 1/8"W x 4 3/4"D x 12"H.
Another jewelry tree ideal for necklaces, the Metal Arrow Jewelry Display Jewelry Stand Organizer boasts a chic powder pink color, a simple heart on top and an arrow. It features a porcelain base tray to hold rings, the arrow as 13 tiny holes for earrings, and the bar for the necklaces or even bracelets. 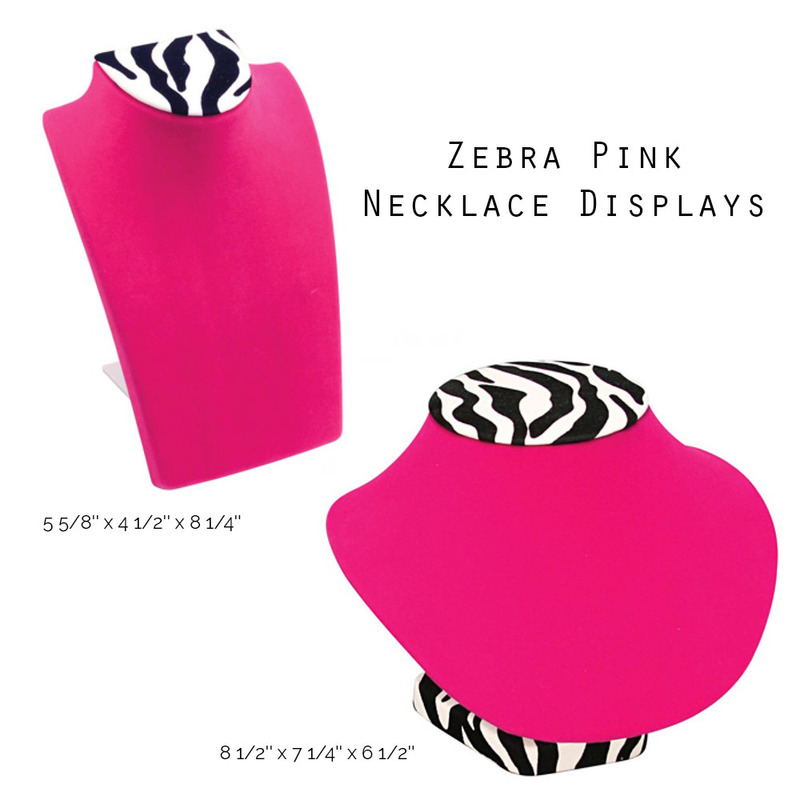 Its size dimensions are 9 5/8"W x 4 3/4"D x 14"H. This display is ideal for two to three jewelry sets. 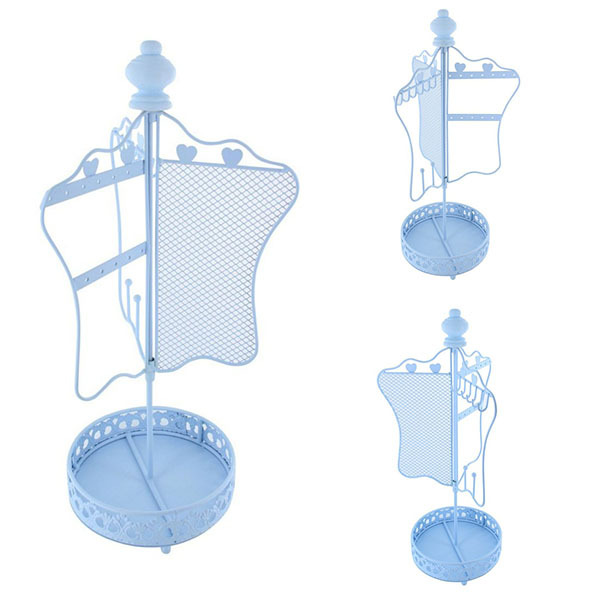 The Metal Jewelry Display Rotatable Jewelry Stand Hanger is one of our charming jewelry trees. It's perfect for sterling silver and silvertone pieces as its powder blue color makes the pieces stand out. 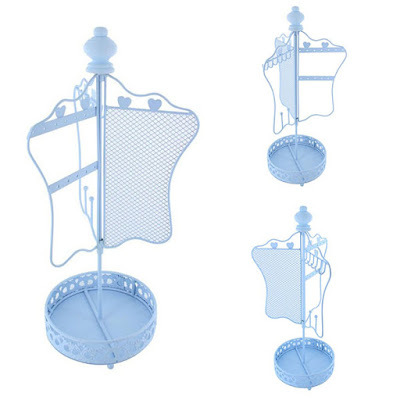 It features a base tray, a bar with six hooks, two bars with 12 holes, and mesh. Small blue hearts adorn the top part of the display. The rotatable metal makes it easy for customers to check out the jewelry pieces. This jewelry tree is ideal for showcasing all types of jewelry pieces. Its size dimensions are 7"W x 15"H, Base 5 1/4" x 1"H.
Finally, we have the Wood Bracelet Display Linen T-Bar Display Organizer. As the name suggests, this display is for your bracelets and bangles. It can accommodate any wrist jewelry, be it tennis bracelets or wide wooden bangles. 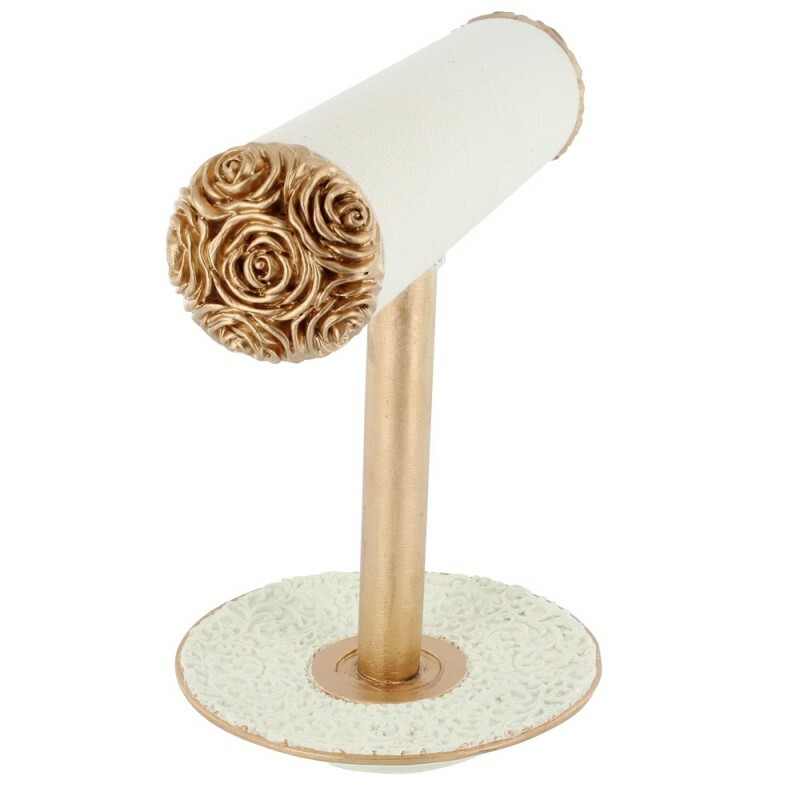 What makes this display Valentine-worthy is its gold rose pattern design. Although made for bracelets, this organizer can also be used to showcase earrings, rings, and necklaces. The bar is 2 inches in diameter and measures 9"W x 5 1/4"D x 8"H.
Want to see more jewelry displays for Valentine’s Day? Browse the shop for more choices! Is your new inventory ready for the Chinese New Year? According to Feng Shui, the lucky colors for the Year of the Fire Rooster are red, orange, purple, yellow, pink and magenta. As a tradition, the Chinese, or basically anyone who believes in Feng Shui, faithfully follow these beliefs. Get extra lucky with your sales this year; display and pack your jewelry pieces in these colors. Here are some of our jewelry displays, boxes, and pouches that may usher in good luck to the new Lunar Year. Pink is one of the lucky colors for this year. Showcase your necklaces using these pretty and feminine Zebra Pink Necklace Displays. Appealing to women, these displays are available in two sizes - one has a size dimension of 5 5/8'' x 4 1/2'' x 8 1/4'' (top) while the other is 8 1/2'' x 7 1/4'' x 6 1/2'' (bottom). 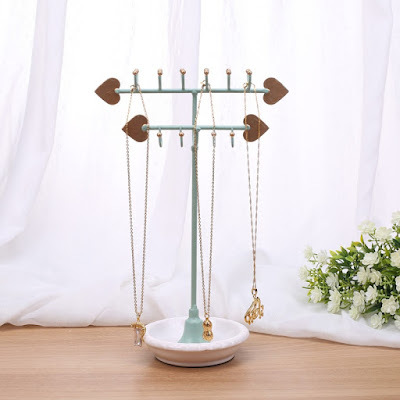 The taller jewelry display is ideal for necklaces with long chains, and the shorter one is perfect for chokers. Your pieces will surely stand out with these brightly-colored pink jewelry displays. These 9-piece Display Sets are perfect for showcasing jewelry sets that include necklaces, earrings, and rings. These displays are great for the Chinese New Year because they are available in the four lucky colors -- purple, red, orange, and pink. 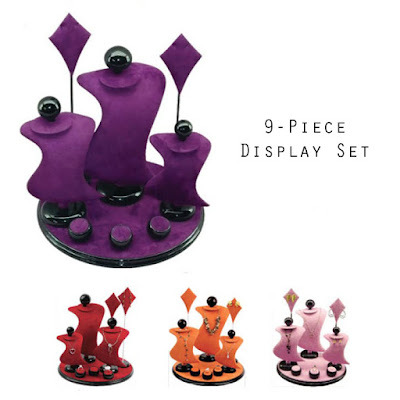 The 9-Piece Display Sets have round bases and wood trims. The size dimensions are 13" x 13" x 14 1/2." This display is also available in green, blue, black, and cream. 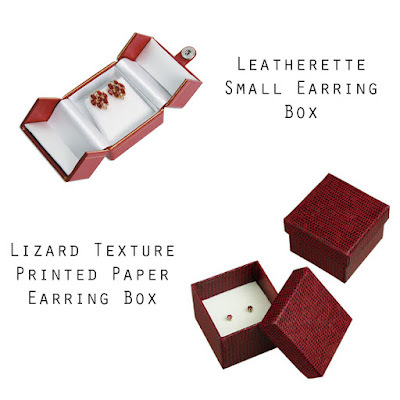 The Leatherette Small Earring Box and Lizard Texture Printed Paper Earring Box are perfect for packing those Chinese New Year-inspired ear pieces. Both are bright red in color and will appeal to your customers. The Leatherette Small Earring Box doubles as a display and packaging. The boxes are filled with cotton and available in different sizes. It features a snap-tab, faux leather cover, velvet and satin interior, and gold filigree borders. The Lizard Texture Printed Paper Earring Box, on the other hand, features a vibrant red lizard texture cover. It’s perfect for gift packaging and also for storage. As with display, your jewelry pieces should also be packed beautifully. 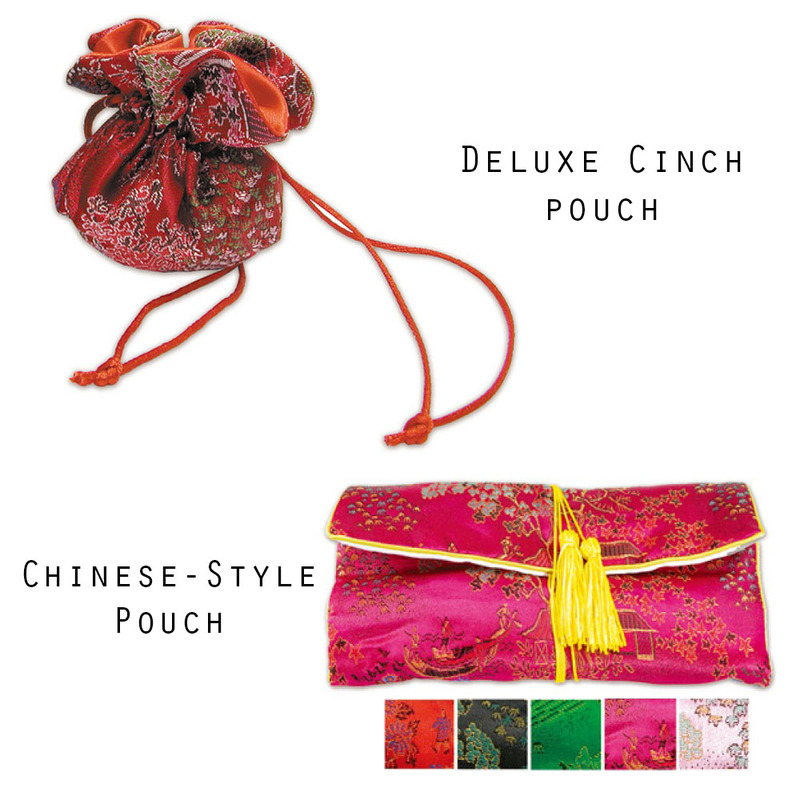 The Chinese-Style Pouch and Deluxe Cinch Pouch are perfect for gift packaging and trade shows. The Chinese-Style Pouch features a snap and zipper and designed like an envelope. They are perfect for the Chinese New Year because of the available colors. 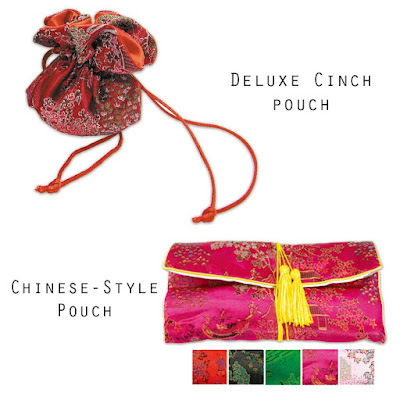 The Deluxe Cinch Pouch, on the other hand, is in a festive red color with Chinese-inspired designs. It is made of silk and is 10 inches in diameter. It doubles as gift packaging and storage as well. Aside from fiery red, the Deluxe Cinch Pouch is also available in green and black. Want to see more displays and packaging for your holiday inventory? Browse the shop for more! Be creative and maximize the use of your coat hooks with these simple hacks. 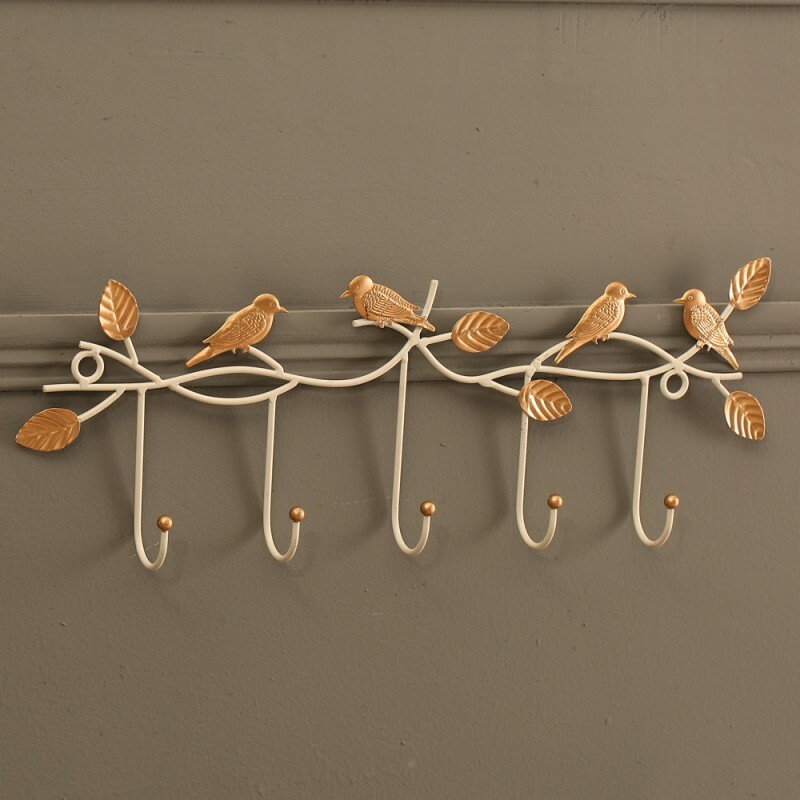 Almost every home on the planet has wall hooks in them. They are used mostly for hanging coats and clothes and are usually located in bedrooms and walls near doors. But did you know that there are exciting and alternative ways to use them? 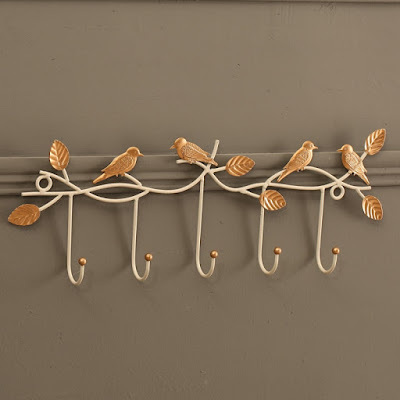 This week, we will be sharing with you five alternative ways you can use wall hooks. Wall hooks can be used as a jewelry display. 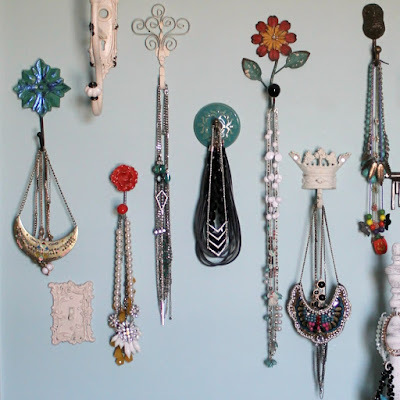 Necklaces, in particular, can be hung on these hooks. Instead of keeping them in your drawers with all your other stuff, hang them on the wall. You can also get to organize them by length and color. Making them as jewelry displays will also lessen the risk of getting tangled chains or misplacing your favorite necklaces. And, if the hooks are small, you can also hang your fashion rings, thin bracelets, and even scrunchies. 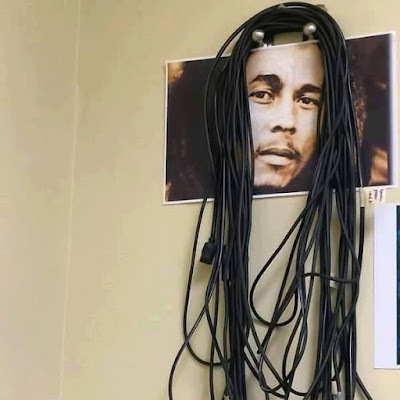 Neatly hang your wires and cables in wall hooks, so you won’t trip on them. As with necklaces, you also don’t have to waste your time untangling them. This is an excellent idea for fairy lights as well. Two hooks are enough, and you can even add a bit of fun by sticking a photo of Bob Marley or Whoopi Goldberg on the wall to make the cables look like their hair! 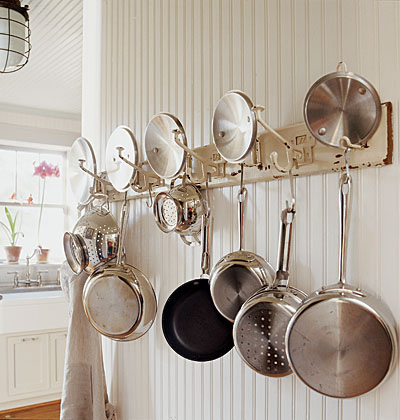 If space is an issue when it comes to kitchen utensil storage, you can use your wall hooks as a kitchen organizer. Hang your pots and pans, pot holders, and other kitchen utensils in these hooks which you can place inside cabinet doors or the kitchen. Plus, they’re within reach, and you don’t have to search for a utensil inside a cupboard full of canned food and more pots and pans. 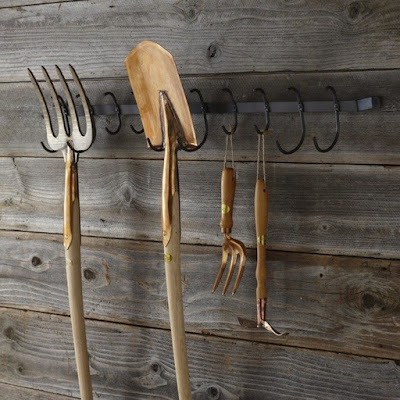 Most garden tools are big, and it has always been difficult to store them. Organize your garage or shed with the help of your handy wall hooks. Tools usually have holes at the end of their handles so you can easily hang them there. Place tools you often use so you can easily get them when needed. 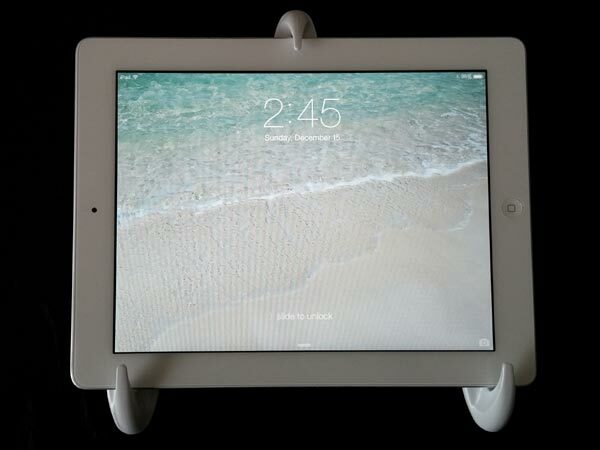 Tablet holders are perfect for those who love to watch videos on their tablets. 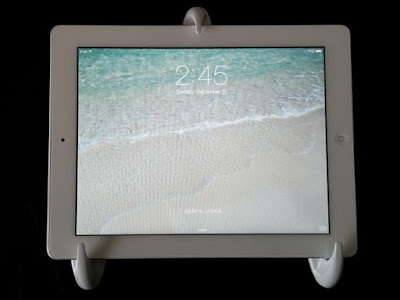 However, you need to make sure that the hooks are plastic or have a smooth texture to prevent scratches on the screen. They need to be small in sizes too for a perfect fit. Otherwise, you might end up breaking your gadget. Hooks used as tablet holders are also great in the kitchen when cooking recipes online, or the bathroom while you take a warm, relaxing bath after a long day. Keep your prized liquors safe. Whether your love to drink alcohol or not, there’s a big chance friends and family have gifted you with a bottle of liquor these holidays. 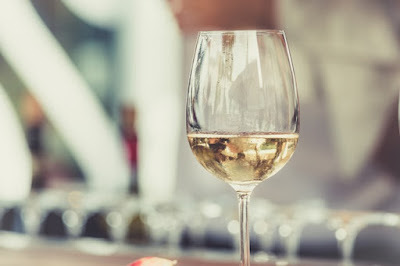 Having too many bottles in the kitchen or the fridge is a hassle, especially if you do not have plans to drink them anytime soon. That said, you need a rack to keep them safely. As with jewelry pieces and jewelry display, liquor bottles need to be organized with wine racks too. It would be a total disappointment if your pricey cognac bottle accidentally breaks. Ouch! There are two types of people when it comes to keeping their liquor collection. There are those who prefer to display them, and these people are mostly the collectors. They have bottles and bottles of spirits that range from the cheapest to the most expensive, collector’s edition ones. The other type, on the other hand, prefers to keep them safely in the corner of the room, or some place hidden, like the attic or basement. They are not necessarily ashamed of drinking, but they do not like to display their collection. 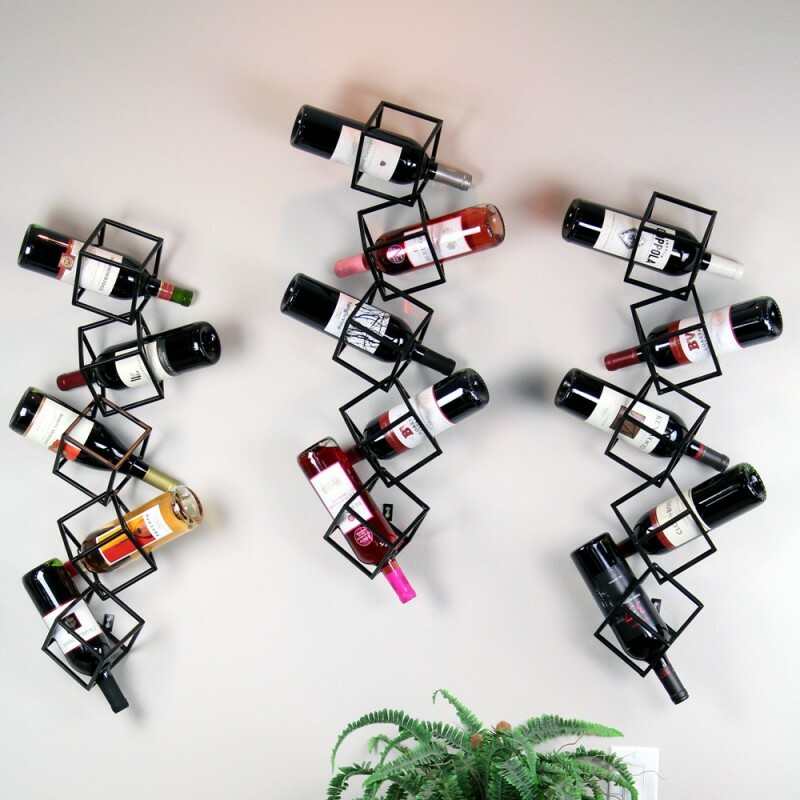 Whatever type you are, we have the perfect wine racks for your collection. This wine wall rack can accommodate five standard 750mL bottles of liquor. 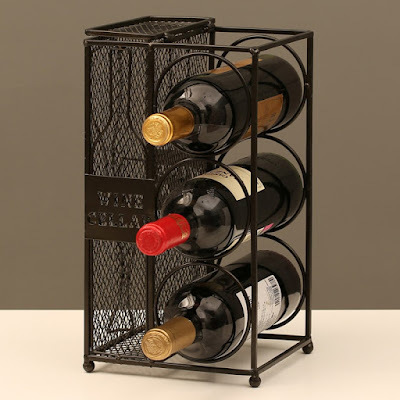 It is made of sturdy black metal wire with size dimensions of 4.25"W x 4.25"D x 30.75"H. It has an art deco design which makes it perfect for displaying your most prized bottles. Minimalists will love this rack’s simple yet striking geometric design. Get two or more of these wine holders and proudly display your vodka, cognac, and wine bottles for all your friends to see. This holder features three holes for standard 750mL bottles of liquor. What’s great about this rack is that it has a side cage container that opens with a top door. This is where you can store up to a hundred corks, perfect for the cork collector. It is made of durable black metal with size dimensions of 7 1/4"W x 6 1/4"D x 13"H. The rack has ball feet to avoid damage to floor tiles or furniture surfaces. 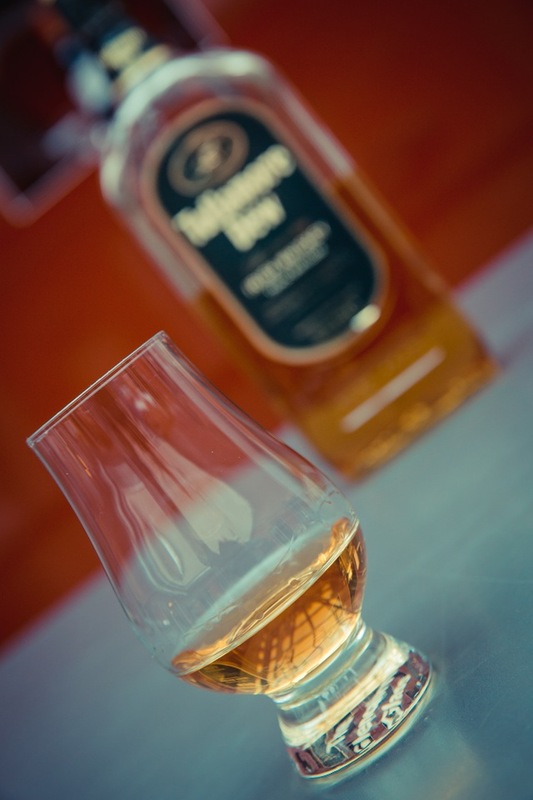 Place it on top of your mini bar countertop to showcase your whiskey and wine or on the floor by your bedside. Of course, one should not faithfully follow the above preferences, as they are only suggestions. You can get both types of wine holders; one for the pricey bottles and one for the cheaper ones. You can also get the wall rack for your empty expensive bottle collection, and get the floor holder for your new unopened ones. Want to keep your wine collection safe until the next holiday? Shop for these wine racks at Nilecorp.com. Be ahead of everyone else; get yourself fashion-forward jewelry as early as now. Excited to smell the flowers this spring? If you are not a winter person, you probably can't wait for the arrival of the season of flowers. 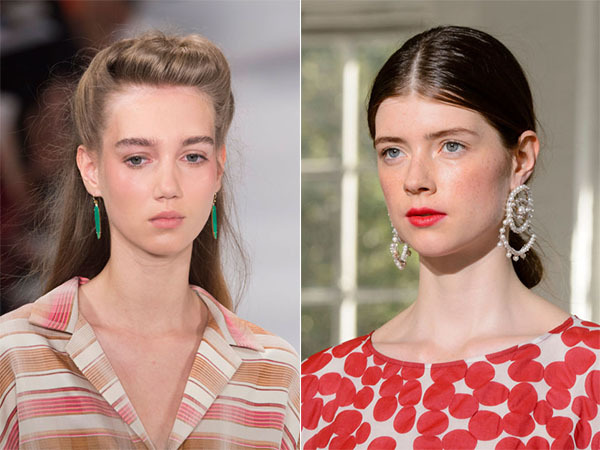 As you anticipate its coming, let's discuss this year's spring accessory trends. Minimalism is slowly becoming a favorite trend among fashionistas. This less is more style is simple; just a few pieces and you’re ready to go. 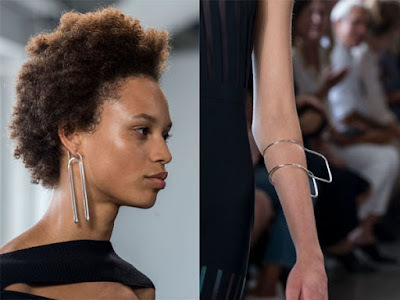 Dion Lee has created designs that are still eye-catching despite the lack of sparkly stones. Minimalist pieces look great on anyone of any age and gender. The one-earring trend has been seen on Hollywood stars such as Cara Delevingne and Emma Watson. It’s a great way to showcase your personality. Pick an earring that’s both eye-catching and unforgettable, like Coach’s bottle cap earring and Tibi Paige for Novick’s gold hoop statement earrings. Retro fashion would never leave the runway. Anything that’s bright and broad reminds us of the hippie culture of the late 60s and early 70s. 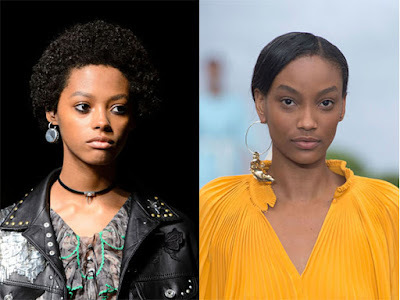 Hoop earrings also have been a favorite since it started to become trendy fashion pieces in the 60s. These pairs look great on any type of fashion style and are perfect to wear anytime in the day. Some may love minimalist jewelry, but some may be into bold, statement pieces. Only a few may rock these pieces, but remember that it only takes confidence and belief in oneself. Do not be afraid to stand out from the crowd. Time to adapt a new fashion style; it’s a new year, after all! 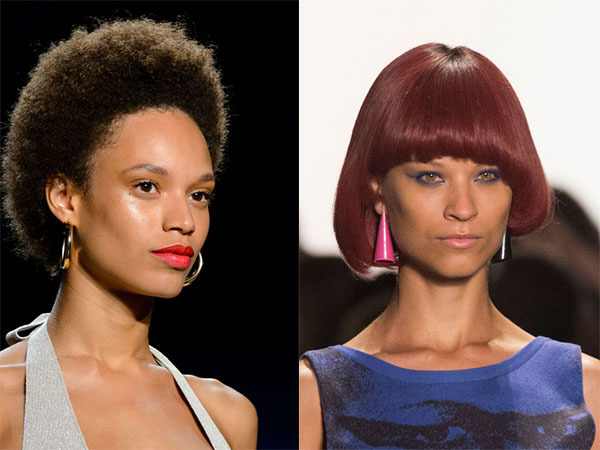 Gemstone jewelry is making a comeback on the runway. There are so many crystals to choose from, and each boast of different colors and luster. Pearls, for example, are great to wear with chic dresses or for when you need to look extra glamorous. Stones such as emerald and turquoise are perfect for your spring floral dresses because of their bright, happy colors. Already shopping for spring jewelry? Don't forget to keep them organized; get yourself a jewelry display and organizers!